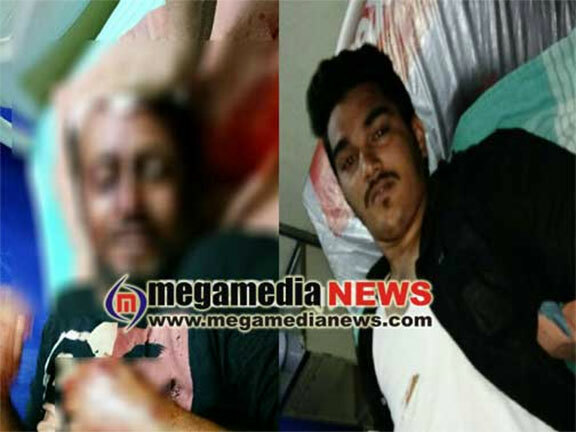 Mangaluru: Four person’s sustained serious injuries after a gang attacked them with machetes near Rao and Rao circle in State Bank area here on Monday night. The victims have been identified as Shafeeq (45), Anees (22), Hafeez (22) and a local pan shop owner whose name has not yet been confirmed. A gang which came in a car, assaulted Shafeeq near here, on noticing this Anees, an acquaintance of Shafeeq rushed to rescue him. They attacked both with weapons and fled. During this, Hafiz and a pan seller outside Harsha bar too suffered injuries. Shafique suffered head injuries, all the four are being treated at Hospital. The reason behind the attack is not known yet. Pandeshwar police have registered the case for further investigations.